Sign up for Broadjam today to follow Mark paul Conforti - Alias (Quando) , and be notified when they upload new stuff or update their news! Worked the PA / NJ & NY club circuets from 1975 - 1992 .. with such bands as S P M / Rocket Blvd The News / Strutter /Phantoms Opera / Refugee / Jet Mule /the Michael Bruce Project (Guitirist of Alice Cooper)/ Romance /Forta'e / Intruder..George Karik(writer of BonJovis runaway) and others.. 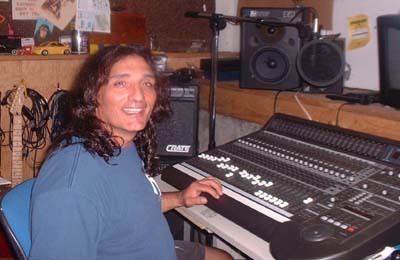 Worked as a Writer /Producer /Engineer/Musician with some well none Musicians in area Studios - I have a 24 Track Mackie + pro tool oo2 setup in Home & I allso Work in conjunction with Pro-Pop Productions / Phantoms Opera Studios--I am primarily a singer / song writer /bassist I am now basically Writeing & Produceing for Young artists & New Bands . I also write & produce childrens music projects /Audio /cartoon shows ect - Alias - Quando of Quando Productions..